European Canadians (French: les Canadiens Européens), also known as Euro-Canadians, are Canadians with ancestry from Europe. They form the largest panethnic group within Canada. The French were the first Europeans to establish a continuous presence in what is now Canada. Hélène Desportes is considered the first white child born in New France. She was born circa 1620, to Pierre Desportes (born Lisieux, Normandie, France) and Françoise Langlois. In the 2016 census, the largest European ancestry groups were British Isles origins (11,211,850 including 6,320,085 English), French (4,680,820), Scottish (4,799,005), Irish (4,627,000), German (3,322,405), Italian (1,587,965). However, the country's largest self-reported ethnic origin is "Canadian" (accounting for 11,135,965 of the population). Since 1996, "Canadian" as an ethnic group has been added to census questionnaires for possible ancestry, which likely caused English Canadians, British Canadians and French Canadians to become severely underrepresented. The grouping is similar to that of "American" in neighbouring United States and is most commonly espoused by European Canadians whose ancestors have been some of the earliest European settlers of what is now Canada, to the point where they no longer feel a connection to their countries of origin. In the 2011 National Household Survey Profile, 10,563,805 people (32.1%) chose "Canadian" as their ethnic group, making it the single largest group in the country. The table shows the European-Canadian population showing a gradual increase from the 1871 Census, however, their proportion of the total Canadian population has been decreasing gradually since the mid-twentieth century to the most recent census in 2011. Canada enumerated its population by race between 1871 and 1971 and ethnic origins. European Canadians are still the largest ethnic group in Canada. Elements of Aboriginal, French, British and more recent immigrant customs, languages and religions have combined to form the culture of Canada and thus a Canadian identity. Canada has also been strongly influenced by its linguistic, geographic and economic neighbour, the United States. The culture of the Canadians of European descent, European-Canadian culture, is the main culture of Canada. From their earliest presence in North America, European Canadians have contributed literature, art, architecture, cinema and theater, religion and philosophy, ethics, agricultural skills, foods, medicine, science and technology, fashion and clothing styles, music, language, business, economics, legal system, political system, and social and technological innovation to Canadian culture. European-Canadian culture derived its earliest influences from English, French, Scottish, Welsh, and Irish settlers and is quantitatively the largest proportion of Canadian culture. The overall Canadian culture reflects European-Canadian culture, also known as White Canadian culture. The culture has been developing since long before Canada formed a separate country. Much of Canadian culture shows influences from English culture. Colonial ties to Great Britain spread the English language, legal system and other cultural attributes. Canadian flag - In 1964, Prime Minister Lester B. Pearson formed a committee to resolve the issue, sparking a serious debate about a flag change to replace the Union Flag. Out of three choices, the maple leaf design by George Stanley, based on the flag of the Royal Military College of Canada, was selected. The flag made its first official appearance on February 15, 1965. 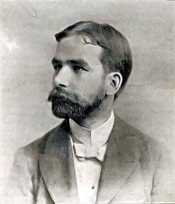 Scottish-Canadian Robert Stanley Weir wrote the lyrics to O Canada. Canadian National Anthem - Two Canadians of French descent Adolphe-Basile Routhier wrote the lyrics and Calixa Lavallée composed the music in 1880. The English lyrics which is the official and most popular version were written in 1908 by Scottish-Canadian Robert Stanley Weir. The Maple Leaf Forever - is an older but unofficial national anthem written by Scotsman Alexander Muir in 1867. It was in consideration for official national anthem, however, no French version was ever written, so, it was never popular with Francophones. Ice Hockey - British soldiers and immigrants to Canada and the United States brought their stick-and-ball games with them and played them on the ice and snow of winter. Ice hockey was first played in Canada during the early nineteenth century, based on similar sports such as field hockey that were played in Europe. The sport was originally played with a stick and ball, but in 1860 a group of English veterans from the Royal Canadian Rifle Regiment played a game in Kingston, Ontario, utilising a puck for what is believed to be the first time. This match, played on the frozen harbour by the city, is sometimes considered to be the birth of modern ice hockey. Most of the heritage that all twenty-three Canadian Prime Ministers come from (or in some combination thereof): is British (English, Scottish, Ulster Scot or Welsh) ancestry. Later Canadian Prime Ministers' ancestry can often be traced to ancestors from multiple nations in Europe. ^ Bennett, Ethel M. G. (1979) . "Desportes, Hélène". In Brown, George Williams (ed.). Dictionary of Canadian Biography. I (1000–1700) (online ed.). University of Toronto Press. ^ a b c d e f "Canada Year Book 1922-23: Racial Origin" (PDF). Census and Statistics Office of Canada. 1921. pp. 158–59. ^ "National Household Survey Profile". Statistics Canada. 2011. A total of 20,157,965 indicated "European Origins". ^ Census Profile, 2016 Census - Ethnic origin population "National Household Survey Profile".] Statistics Canada. 2016. A total of 19,683,320 indicated "European Origins". ^ Foot, Richard (February 13, 2014). "The Stanley Flag". The Canadian Encyclopedia (online ed.). Historica Canada. ^ McIntosh, Andrew (March 26, 2012). "O Canada". The Canadian Encyclopedia. Retrieved May 26, 2017. ^ "Hymne national du Canada". Canadian Heritage. Government of Canada. June 23, 2008. Retrieved June 26, 2008. ^ Department of Canadian Heritage. "Canadian Heritage – National Anthem: O Canada". Queen's Printer for Canada. Retrieved June 29, 2010. ^ "Marches". L'Association Canadienne De L'Infanterie/Canadian Infantry Association. Archived from the original on April 22, 2012. Retrieved May 4, 2012. ^ "Canadian Heritage – Patriotic Songs". Pch.gc.ca. March 3, 2010. Retrieved October 29, 2011. ^ "Ice Hockey Equipment and History". The Olympic Movement. Retrieved January 3, 2012. ^ "About Ice Hockey". Ice Hockey UK. Archived from the original on February 14, 2012. Retrieved December 27, 2011. ^ "Ethnocultural Portrait of Canada - Data table". 2.statcan.ca. October 6, 2010. Retrieved January 28, 2011. Bramadat, Paul; David Seljak (2009). Religion and Ethnicity in Canada. University of Toronto Press. ISBN 9781442610187. Bramadat, Paul; David Seljak (2008). Christianity and Ethnicity in Canada. U of Toronto Press. p. 247. ISBN 9780802095848. Haig-Brown, C.; Nock, D.A. (2006). With Good Intentions: Euro-Canadian and Aboriginal Relations in Colonial Canada. UBC Press. ISBN 978-0-7748-1138-5. Kallen, Evelyn (2003). Ethnicity and Human Rights in Canada: A Human Rights Perspective on Ethnicity, Racism, and Systemic Inequality. Oxford UP. ISBN 9780195417425. Resnick, Philip (2005). The European Roots Of Canadian Identity. Peterborough, Ont. : Broadview Press. ISBN 978-1-55111-705-8. Yedlin, Tova (1985). Central and East European Ethnicity in Canada: Adaptation and Preservation. Central and East European Studies Society of Alberta. ISBN 9780888649539.